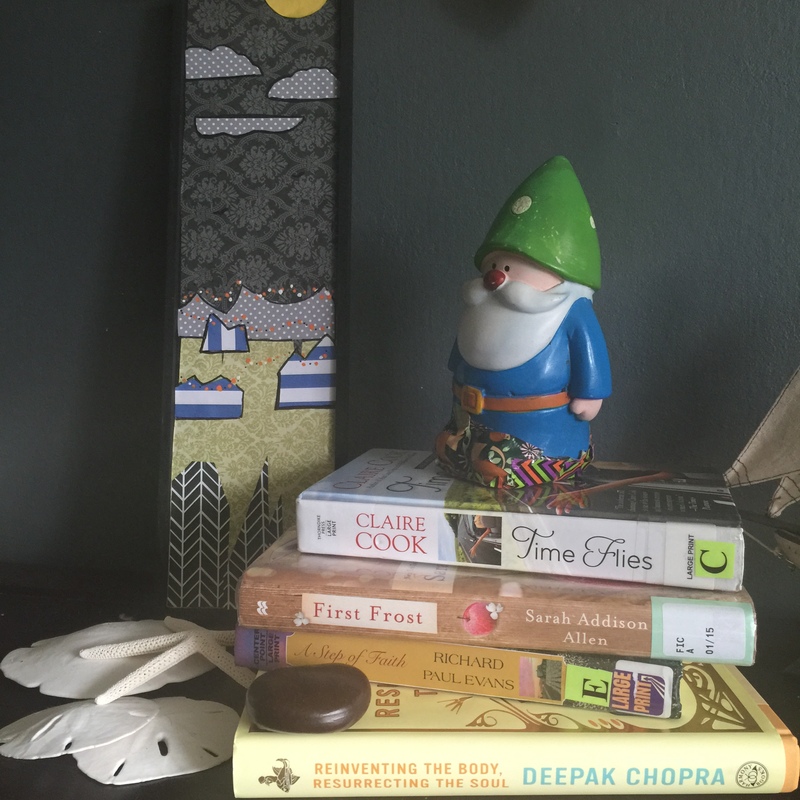 What do books, artwork and a gnome with a broken foot have in common? Nothing! I am in search of inspiration in any form. I have been caught in a dust storm of sorts, a creative dry spell. I am finding ways to replenish thy soul, by doing the things I enjoy, like reading books from my favorite authors. It helps to know that this will pass, to be patient and to do the things that will fill my well of inspiration. I would love your feedback. How do you cope with a creative dry spell?